Found these at Mums today. Look at this cutie. 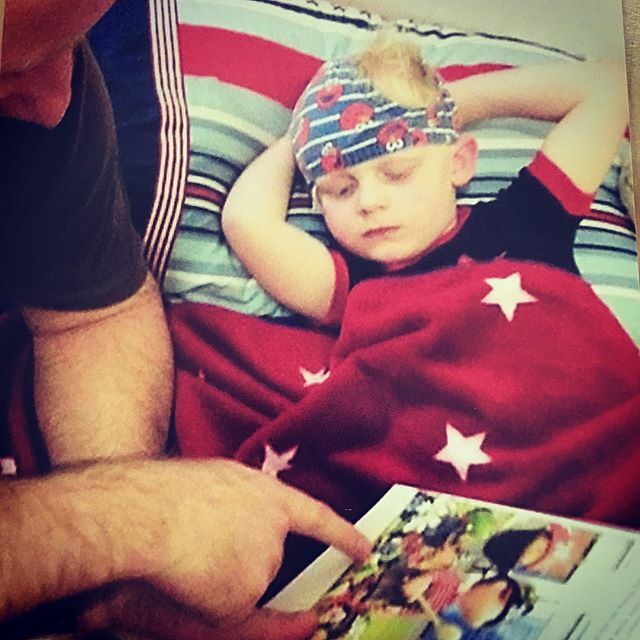 Bedtime reading with knickers on his head…..why? Playing with water with a stolen toilet roll…..cheeky! Previous Previous post: I think I've been in Bangkok too long. All fashion is approved there . I'm heading out in my Birks and socks. My feet are in a world of pain so I am setting my own trend today !